Saturday, August 6, 2018. Magandang umaga. Yeah good morning. We had some schedules for the our first Monday in Philippines. The first schedule was a flag ceremony in the administration building at 8.00 a.m and a welcoming program at 4.00 p.m.
We joined the flag ceremony with all of university officer and four students from China. All of we saluted the Philippines flag. It was the first time for me that I heard Philippines national anthem. I was interesting with the song and wanted to learn it. Maybe sometimes. After the flag ceremony, we were introduced in front of ceremony participants. 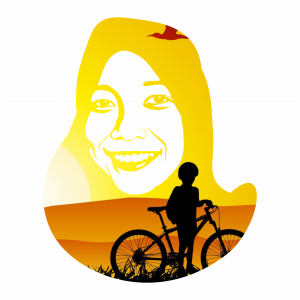 I was so proud that I will be the part of SEA teacher project. We met Mrs. Imelda G. Parcasio as Dean of College of Teacher Education, Mrs. Jingle P. Cuevas as our supervisor, and Mr. Feliciano G. Calora, JR., Ph.D. as the president of BSU. In Philippines, we used “Ma’am” to call female teacher and “Sir” to call male teacher. Of course, i wasn’t call Mrs. Jingle but Ma’am Jingle. Actually, it was same. 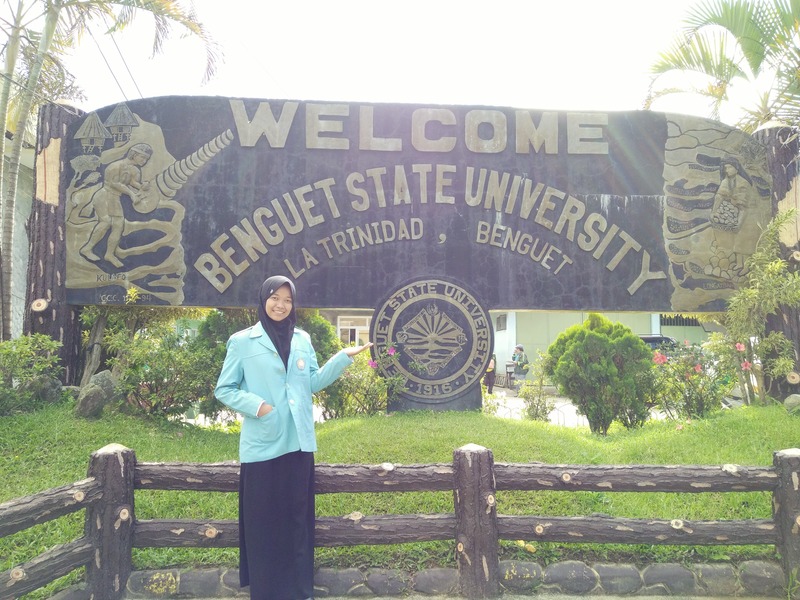 After that, we had simple tour to know the environment of BSU and took some pictures at BSU areas. We were surprised that there were our names in front of BSU main door. After that, Ma’am Jingle took us to College of Teacher Education building. We were introduced to some officer of that college and met with Ma’am Imelda in her office. Next, we went to the BSU president’s room to met him. Sir Feliciano very welcome to us. In the afternoon, we were given id-card, an invitation card to join on the welcoming programe, and banana with caramel (I forgot its name hehehehe maybe like Piscok in Indonesia) and a drink of bottle, also the important information about the welcoming program in CTE Function Hall. Then, we went to BSU library. The librarian gave information about the library and their facilities. I also read some books in there. I found a lot of minithesis in there and it remembered me that I already in the last year of my graduate. 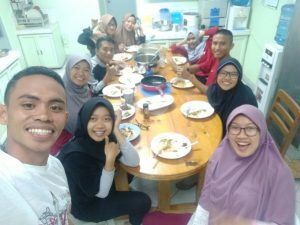 After that we went to our dorm (Guest House) and prepared for welcoming program. At 4.00 a.m, we went to CTE Function Hall. All of us wore batik, we thought that batik was icon of Indonesia. 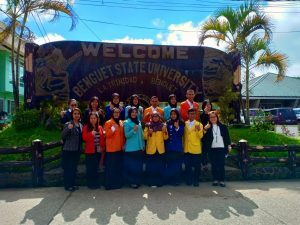 The welcoming program was attended by some teacher of Elementary Laboratory School (ELS) and Secondary Laboratory School (SLS) and the members of College of Teacher Education-Student Government (CTE-SG). I was nervous because I had to introduce my self in front of all of them. Then, we got some booklets of BSU and some souvenir. We got some information about CTE-Student Government from Arnel A. Andeloy as Governor of CTE-SG. This is the CTE-SG structure. Next, we had early dinner. The last one we were introduced to our own buddies and mentors. The name of my mentor was Mrs. Rosemarie P. Daytec. My buddies were Kilayon and Hazel. Jannie June Kilayon was a student of Pysical Sciences Education major and Hazel Joy B. Tacudog from Math Education major. They were humble and friendly. 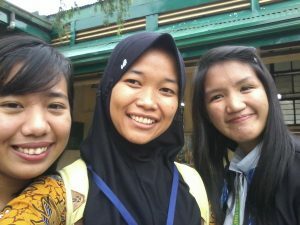 They accompanied me to BSU-SLS and they shared about BSU and SLS. Then, we and another buddies of my friends ate pancake together. The pancake was big and so cheap i thought, just PHP 15 until PHP 20 or round about Rp.6.000,00. We told and laughed each other. It was so fun. And like the last night, we cooked and ate together. I think it’s my story. Les’t read my next story. You can watch this video, so you don’t just imagine my story. But i think, it isn’t good video because i took some videos by my phone with limit memory space. Hehehe Maraming salamat!